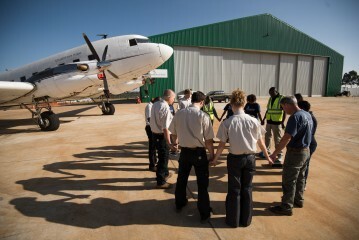 A sparkling new Samaritan’s Purse aircraft hangar was dedicated to the glory of God March 3 in a ceremony at Eldoret International Airport in Kenya. Samaritan’s Purse President Franklin Graham spoke to the crowd of staff, government officials, and Christian leaders. 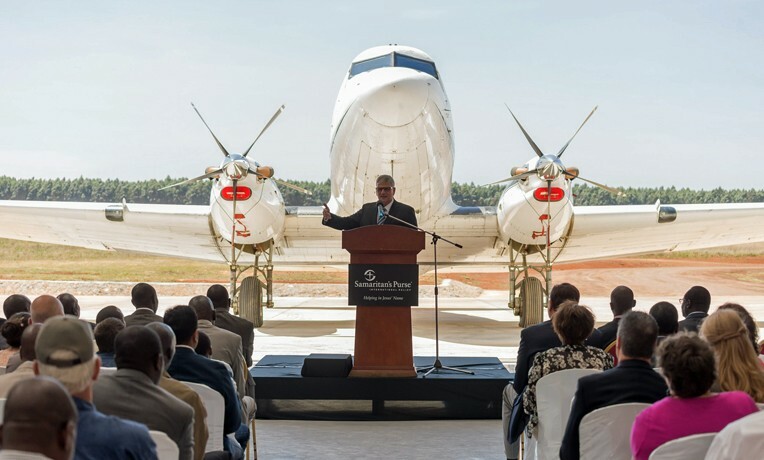 “From Eldoret, from this airport, from this hangar, from Kenya, Samaritan’s Purse will use this facility to reach out and to touch in the Name of the Lord Jesus Christ people all over East Africa,” he said. The new hangar will allow us to serve people in need throughout East and Central Africa. Uasin Gishu County Governor Jackson Mandago addressed the audience just before Graham and thanked Samaritan’s Purse for our investment in the area. He praised our organization for our work in Kenya and the region. Our Mission Aviation Services, East Africa, relocated to Eldoret in 2012. Construction, under manager Dave Petersen, began on the hangar in late October 2013 and the team moved into its new facility in October 2014. The facility was built on schedule and on budget using Kenyan construction companies and Kenyan labor. The hangar offers more than 15,000 square feet of indoor space for maintenance, repairs, storage, and offices. We currently have three aircraft stationed there—a DC-3TP, a King Air B200, and a Cessna 208 Caravan. A second Caravan will be added this spring. Staff pray together for morning devotions. Drew Fitzpatrick, Program Director for Mission Aviation Services, East Africa, noted in particular the ability of the DC-3 to get aid to remote locations. “Operationally, there’s no aircraft better for unimproved airstrips,” he said. 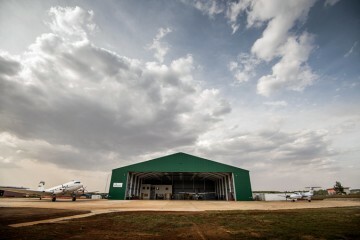 The new hangar well positions Samaritan’s Purse for expanded aviation services in East and Central Africa. Currently, most of our flight work involves moving relief items, supplies, and personnel into and around South Sudan, where we are assisting hundreds of thousands of refugees and internally displaced people. Eldoret-based aircraft also have supported our work in the Democratic Republic of Congo, Uganda, and Liberia. Kenya Projects Samaritan’s Purse is making a difference in the lives of Kenyans, working alongside them on agricultural, animal, and forestry projects across the country. 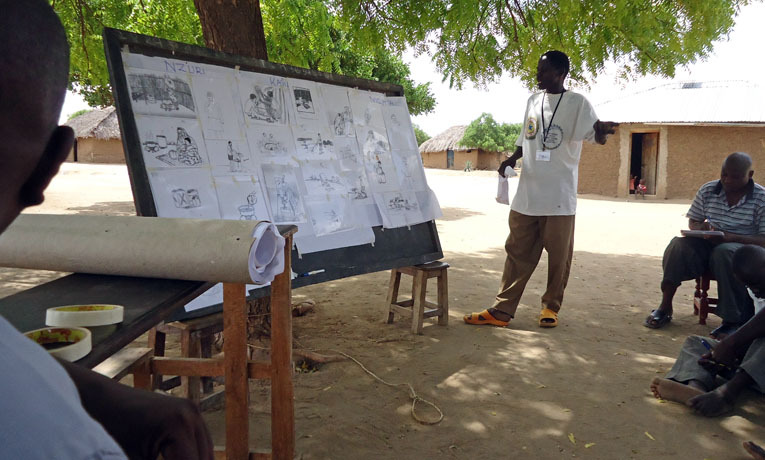 We also have a variety of projects focused on providing clean water that’s safe to drink. Since 1978 we've been sending medical doctors to Kenya through World Medical Mission, supporting at least two dozen hospitals that have helped tens of thousands of people find new life in Jesus Christ. Whether we’re on a farm or in an operating room, we are there serving in Jesus’ Name, demonstrating His compassion and declaring the hope of His Gospel.